Mitt Romney's campaign has announced that the presumptive GOP nominee has chosen House Budget Committee Chairman Paul Ryan as his vice-presidential running mate. The two candidates will appear together at a campaign event in Norfolk, Va., Saturday morning. The official announcement will be in front of the U.S.S. Wisconsin -- which just happens to be Ryan's home state. After three sources close to the Romney campaign indicated to NBC News late Friday night that Ryan would be the pick, the Romney camp issued a press release just after 7:00 am ET, stating: “Mitt Romney & Paul Ryan: America’s Comeback Team.” Around the same time, the campaign’s “VP app” also announced that Ryan would be the choice. The Romney campaign billed the ticket "America's comeback team" in the release announcing the decision, saying that Ryan "has worked tirelessly leading the effort to reign in federal spending and increase accountability to taxpayers." With recent national polls showing Romney trailing President Barack Obama, Ryan is a bold pick. He will excite economic conservatives, and is considered one of his party's rising stars. But his budget plan -- which would substantially transform Medicare and Medicaid -- is a lightning rod. In fact, Democrats argue that Ryan's selection marks an opportunity to highlight Ryan's desired changes to Medicare, which include giving future seniors a voucher or premium support to help pay for their health insurance. Under Ryan's plan, future seniors would have the choice of using the voucher/premium support to purchase private insurance or through Medicare's traditional fee-for-service model. "We've spent 18 months trying to make House races about their plan for Medicare and Mitt Romney just did it for us overnight," said one Democratic operative. Ryan had been the focus of intense VP speculation for the last few days. Washington economic conservatives -- including the Wall Street Journal editorial page and the Weekly Standard -- have pushed for his selection. 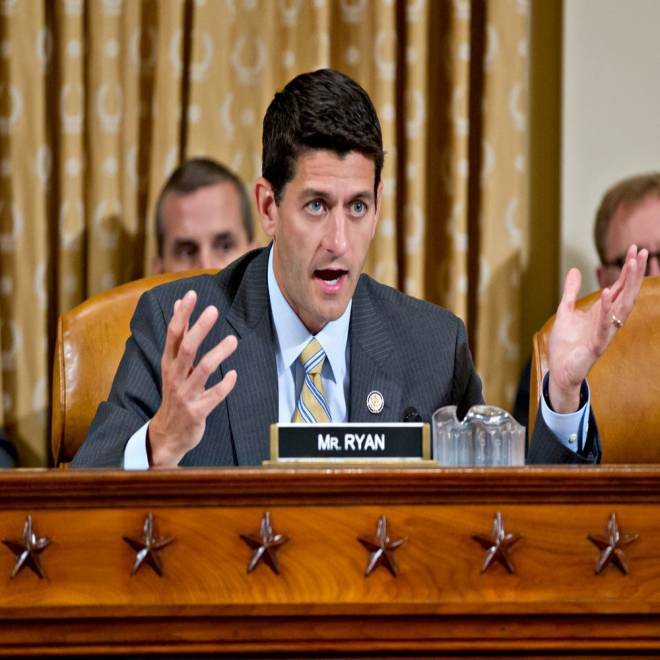 Related: What is the Ryan budget? In addition, Romney told NBC's Chuck Todd on Thursday he was looking for someone with "a vision for the country," who "adds something to the political discourse about the direction of the country” -- a sign that he might make a bold pick in Ryan. At 11:11 pm ET, the Romney campaign announced that it would be making its VP selection on Saturday. And as First Read reported earlier this week, the VP finalists were Ryan, former Minnesota Gov. Tim Pawlenty, and Ohio Sen. Rob Portman. NBCNews.com's Mike O'Brien contributed to this report.